Capgemini announced this week it will be teaming up with Microsoft on a global plan to deploy Capgemini’s services to its customers on the Windows Azure platform. 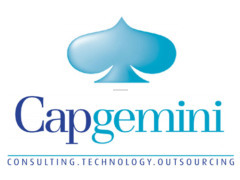 According to Capgemini, the company will market and deliver services around Windows Azure, Microsoft’s cloud platform, mobilizing Capgemini’s full lifecycle capabilities in orchestrating, designing, developing and running cloud-based application services. “Together, we are well positioned to deliver cloud services that will help customers keep ahead of the technology curve, while at the same time reducing costs,” he added. The joint plan will offer Windows Azure offerings across 22 countries, including covering sectors such as financial services, the public sector and energy and utilities and will provide advice to businesses on how to develop a cohesive, enterprise-class cloud strategy.